PostalMate® is a powerful shipping application used by thousands of retail shipping centers throughout the United States. PostalMate's® comprehensive rate comparison screen allows the shipper to see the date and time of delivery for packages carried via DHL, FedEx, and UPS. This information is updated in real-time to give you the most accurate information available. PostalMate® also displays rates and services for USPS and prints postage directly on thermal labels thanks to our Certified Partner relationship with Endicia. 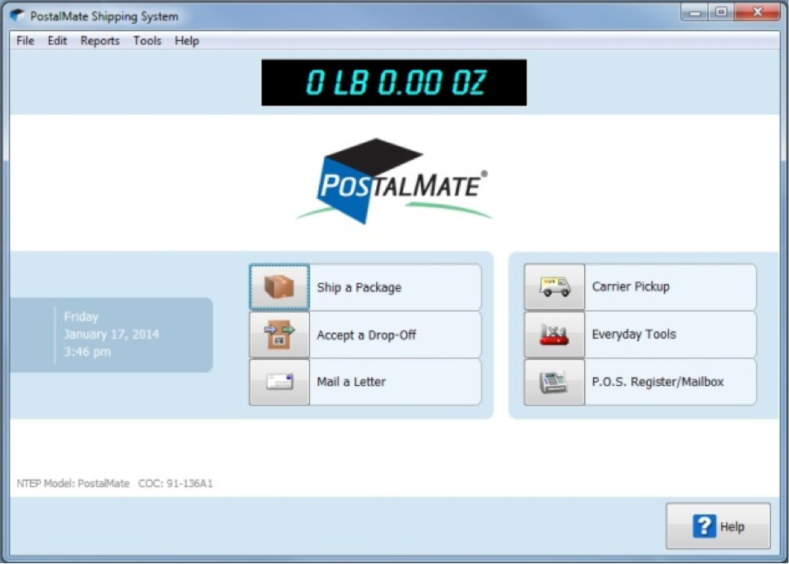 Also available in PostalMate® is a powerful package-estimating feature called "Pro Pack". 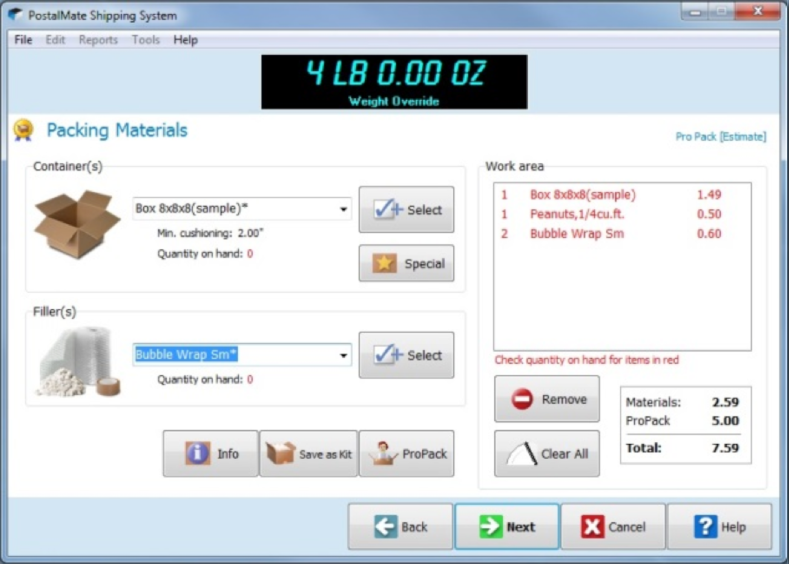 Pro Pack will determine packing and shipping charges for an item based on it's weight, dimensions and the Zip code thus allowing the customer to pay for a shipment before it is packed and shipped eliminating customer waiting and long counter lines. PostalMate® utilizes the powerful shipment visibility tools available through our relationship with enVista to report to you when packages are lost or late. Marketing tools such as email notification keep customers and recipients informed as the whereabouts of a package will allowing you to deliver powerful marketing messages. We got you covered on the point of sales side of the business as well. Our state of the art POS system that offers accounts receivable, mailbox management, inventory management and product receiving. View your profits in one of the many reports provided in PostalMate's® register. With an easy to use product entry method you can charge your retail price or provide discounts on the fly. Each shipment from PostalMate® is brought directly to the register to provide your customer with tracking numbers, delivery commitments, disclaimers or other information you wish to place on the receipt. In our Mailbox Manager you can organize your mailboxes and get rid of index cards and non-integrated systems. Mailbox Manager prints required USPS documents, renewal notices and handles payments and mail forwarding. 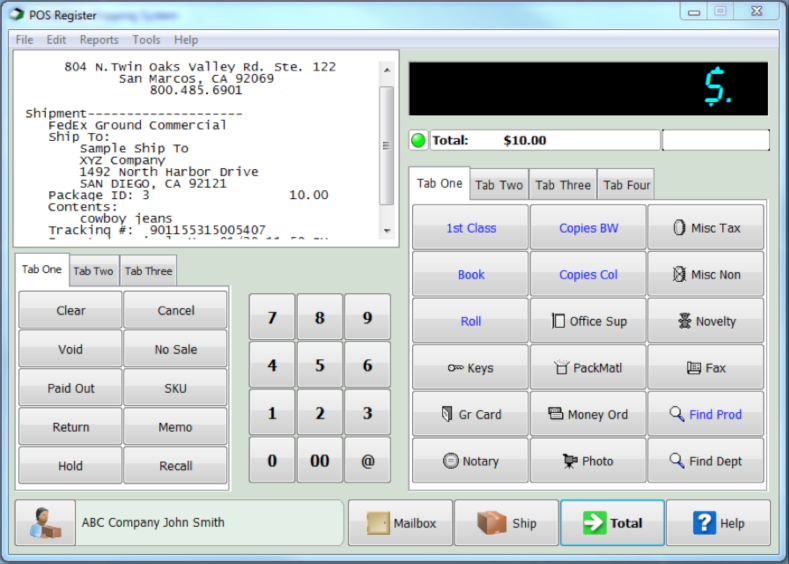 Like our cash register and PostalMate® it is customizable, easy to set up and easy to use. A Retail Shipping Associate Premium Member will receive a $100.00 discount off the One-Time Administrative fee charged when obtaining a New PostalMate software license. Click on the button below to get the most current hardware requirement list. 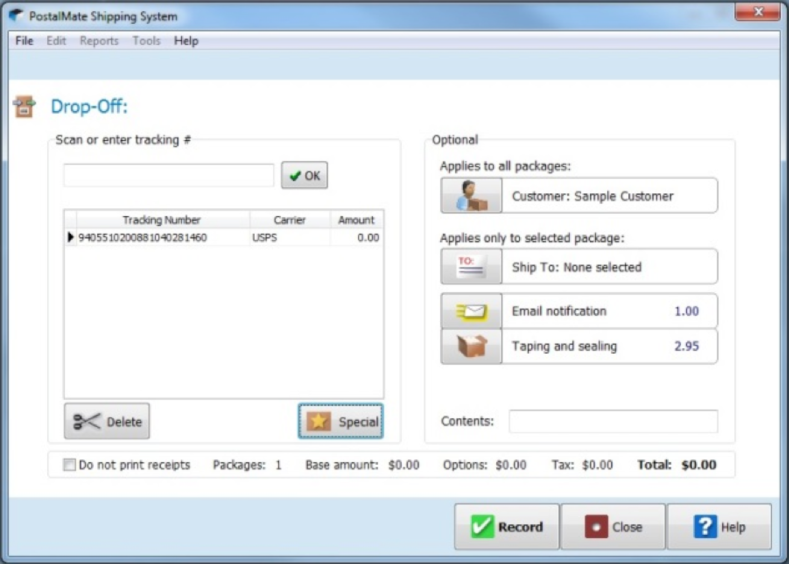 If you are running a pack & ship center this is the only point of sale system you want or need. They are constantly evolving their software to make it better and faster and always adding on new features. I come from a software development background in my previous "life" aka - before becoming a retail pack and ship store owner. Before we opened I reviewed the available software options for my first store and decided on PostalMate. That was in 2006. I have never regretted my decision! They have made significant developments in the last 9 years and they constantly continue to improve! I now have 2 stores and we use PostalMate in both of them. The staff at PCSynergy is awesome, they keep on top of changes in the industry, constantly make improvements, and even amaze our customers with the wonderful interface. We have used PostalMate since I purchased our Northern California store in 2003 and our customers have come to rely on us when they have lost a loved one's address. With instant address validation, we are able to offer top notch service each and every time, and there are almost never any returned parcels. PCSynergy has a terrific product and great training and customer service teams to boot. 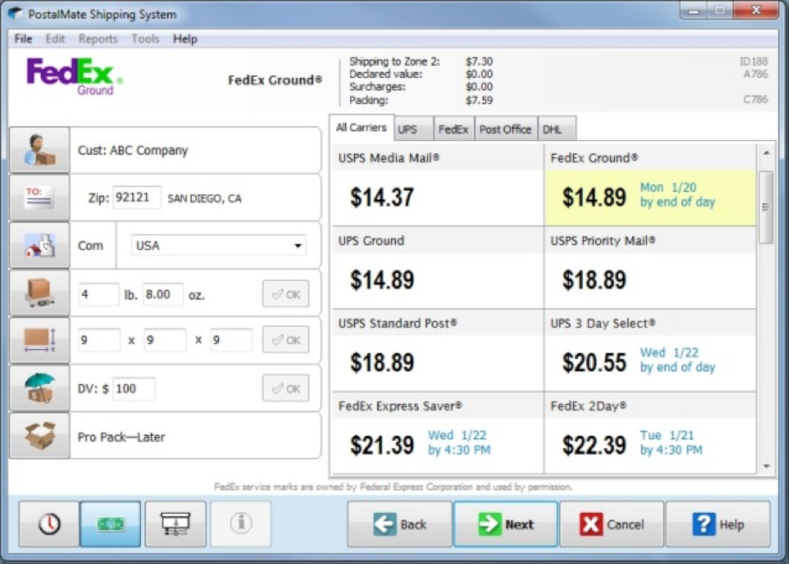 PCSynergy and their Postalmate software have been the cornerstone of my business for over 23 years. My business could not have grown and flourished without the support provided by their innovative and interactive software. In addition to keeping up with industry changes, they are always on the cutting edge. The enhancements that they come out with on a regular basis make me and my staff look like hero's to our customers. Postalmate is so easy to use, that training new employees has become a breeze. We have been using this software for over 15 years. It's very user friendly and the support has been excellent. They are regularly making updates and improving the software. The staff at PCSynergy are approachable and enjoyable to talk to. It makes asking questions very easy. This software has come a long way. It's not just a Packing and Shipping software - Although it does a top notch job and saves lots of time and makes me money in this area. It's a Mailbox Manager and simplifies renting mailboxes, keeping track of past due, adds late fees and manages added services. It's a time clock for employees. Eliminates paper while still providing tracking etc. Provides a slideshow of services. There's just some much to this software. Check it out. Brilliant software! Also terrific trainers and support team that not only know the software inside and out but also the retail shipping industry as a whole.